The Karachi Development Authority (KDA) has scheduled to start the grand anti-encroachment operation in Korangi, South and Central Karachi on Monday. 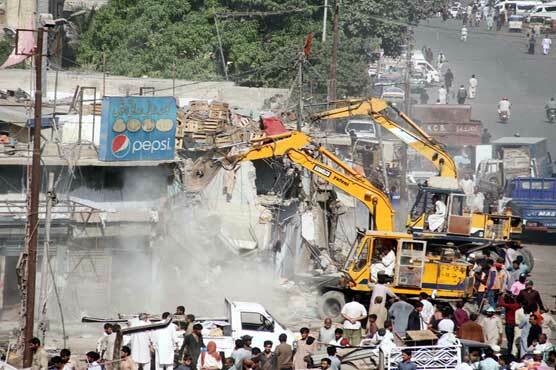 According to details, the heavy machinery and bulldozers have reached the targeted areas to demolish the illegal buildings. Be reminded that a grand operation against illegal constructions in the metropolis was initiated two months ago, however, some political groups have been bent upon hindering the drive in Korangi and some other areas. Earlier, on Sunday, the Muttahida Qaumi Movement-Pakistan (MQM-P) had announced to hold a protest demonstration against the anti-encroachment operation in the city.